We offer three upgrade options for the Monoprice 600800, from the simple to the complex. Replacing the 600800 capsule is an easy, but sonically significant upgrade. In a transformerless microphone like the 600800, the capsule gives you about 95% of the mic's tone. The RK-47 capsule would transform your 600800 into a wonderful all-purpose microphone, with great detail in the mids, and a neutral top end -- a welcome contrast to most over-bright condensers. Convert this $75 microphone into a giant-killer. Our new "TL3" circuit kit for the 600800 delivers very high sensitivity, low distortion, low noise, and variable (user tune-able) high-frequency EQ/correction. 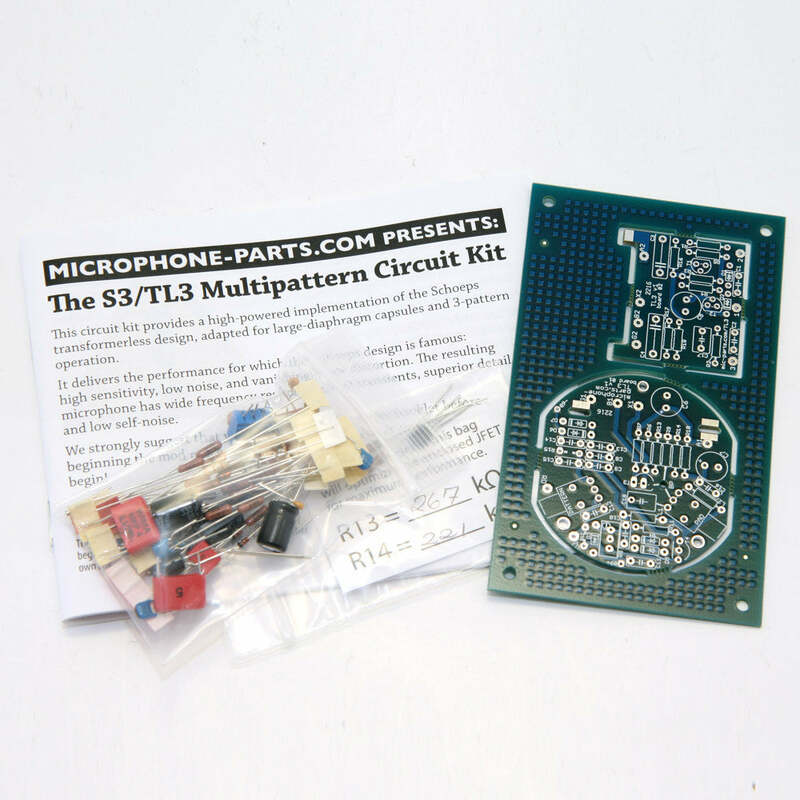 The kit repurposes the high-pass filter switch as a 3-way pattern switch: Cardioid, Omni, Figure-8. This makes the modified 600800 a fantastic "side" mic in a mid-side stereo setup. Pair it with our RK-87 for the most neutral response, or the RK-12 for big vocal and acoustic guitar sounds, or the RK-47 for a Fet47 sort of sound. Read more about the TL3 circuit upgrade kit for the Monoprice 600800. Our custom, handmade headbaskets for the MXL 770 also fit the Monoprice 600800, and provide both a cosmetic and sonic upgrade. Click for more information on replacement grilles for the Monoprice 600800.